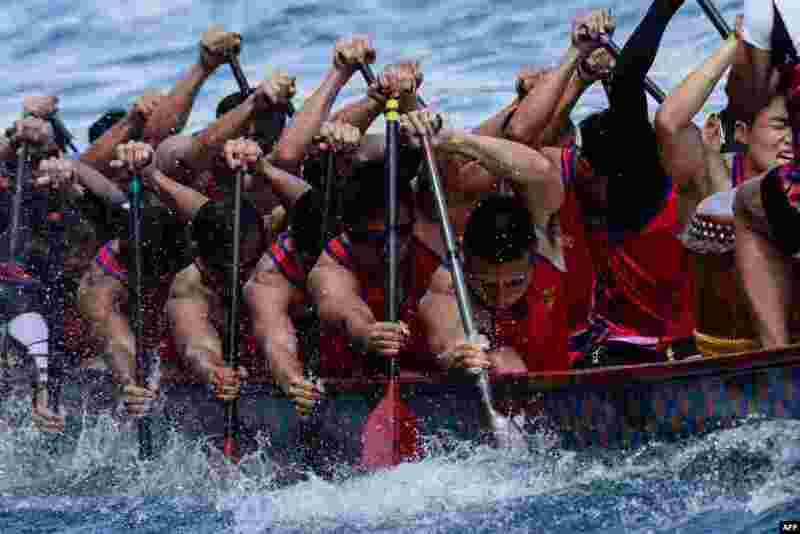 5 Competitors take part in the annual dragon boat race to celebrate the Tuen Ng festival in Hong Kong. 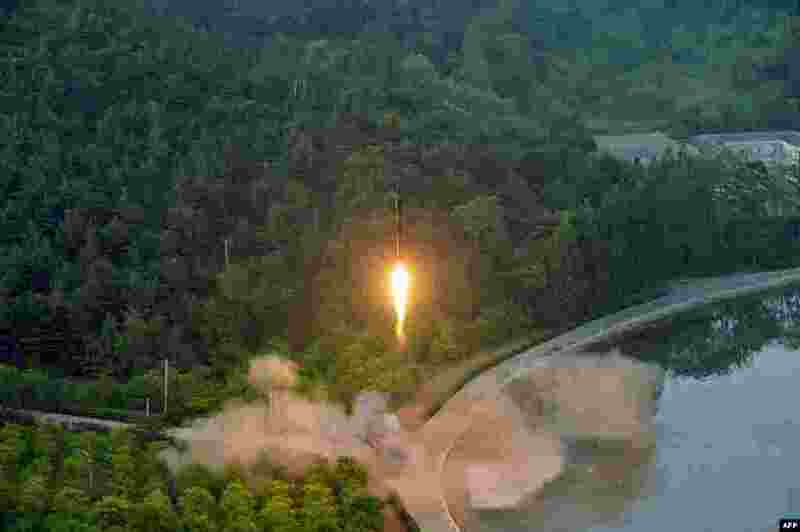 6 This undated photo released by North Korea's official Korean Central News Agency (KCNA) shows a test-fire of a ballistic missile at an undisclosed location in North Korea. 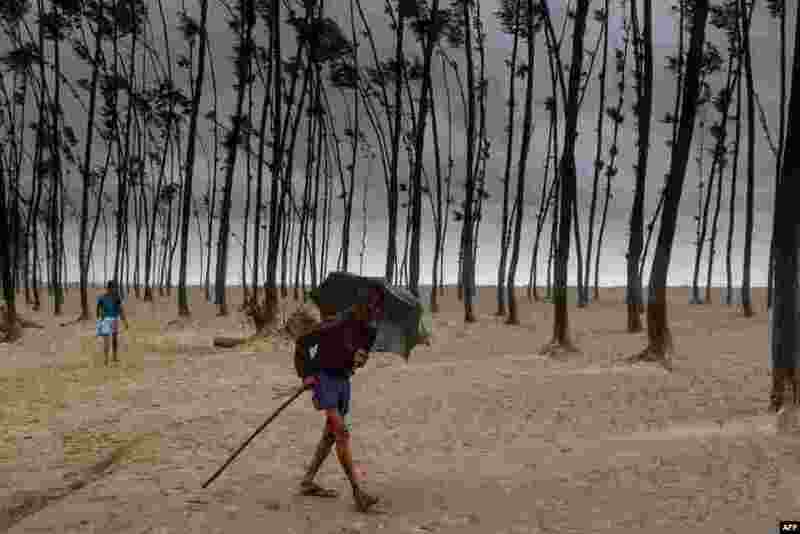 7 A Bangladeshi villager evacuates to a cyclone shelter on the coast in Cox's Bazar district. 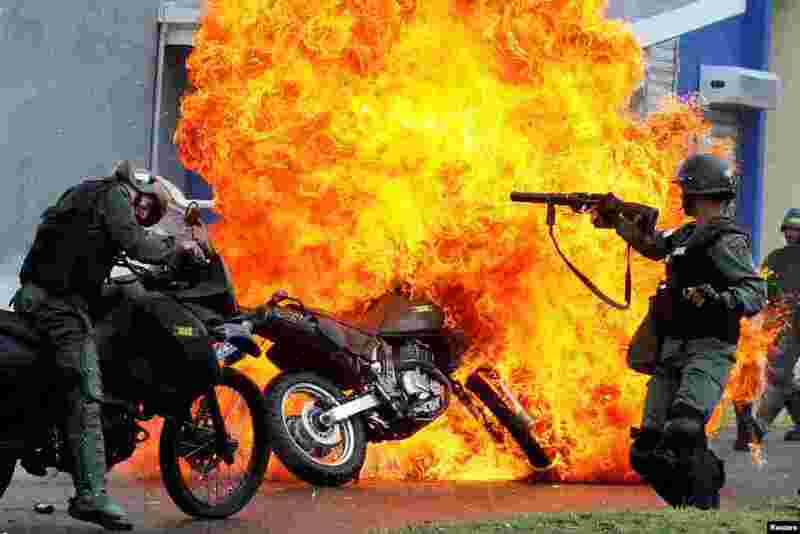 8 Riot security forces clash with demonstrators as a motorcycle is set on fire during a protest against Venezuelan President Nicolas Maduro's government in San Cristobal, May 29, 2017.